Generations of New England families migrated across New York after the Revolutionary War; the wave of newcomers reached Michigan in the mid 1830’s and lasted into the 1880’s. 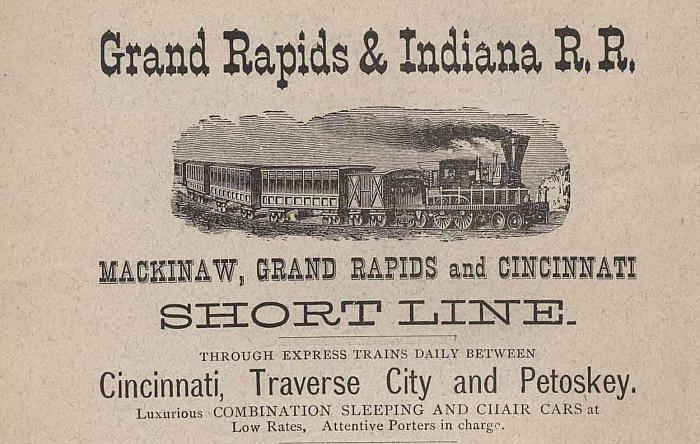 Frank Maybury, his wife Maria and children Mabel and De Forest journeyed from Cortland County, New York and arrived in 1872 Grand Rapids to find a population of sixteen to seventeen thousand, which was about the same number of people in Sacramento, California. The Mayburys lived in our city for ninety years and left a cemetery monument of striking distinction at Valley City Cemetery now known as Oak Hill. For the past century and more visitors have viewed the beautiful tree memorial and pondered the meaning of its severed tree limbs, the exquisite calla lily and an uplifted cross, without the benefit of information. Following is the Frank and Maria family story. 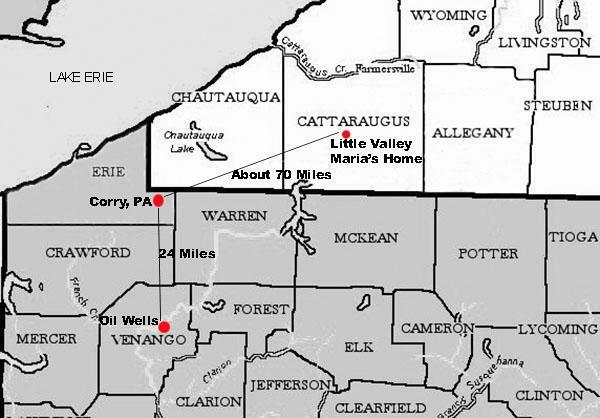 Maria Kelsey was born in Little Valley, Cattaraugus County, New York on 1 September 1843. Her mother, Laura Olin, was known by some as “the belle of the Mohawk,” when at age eighteen in 1825 she married Truman Kelsey, Maria’s father, in Florida, Montgomery County, New York. Before 1827, the couple migrated to the far uncultivated western part of the state where it was not unusual for young adult children to return east and live with relatives to reach their particular goals. Maria had six sisters and six brothers, the youngest born in 1851; their mother died in 1856. Maria had reached the age of twelve. One sister named Cleopatra and known as Clio, was a young adult in those pre-Civil War days and studied to become a teacher at the Cortlandville Academy in Homer while living in Cortland County, New York with their paternal aunt, Arsinoe (Kelsey) Bowen, wife of Rev. Henry Bowen, a Baptist clergyman. Later, Clio married Dr. James Washburn Hughes of that place. 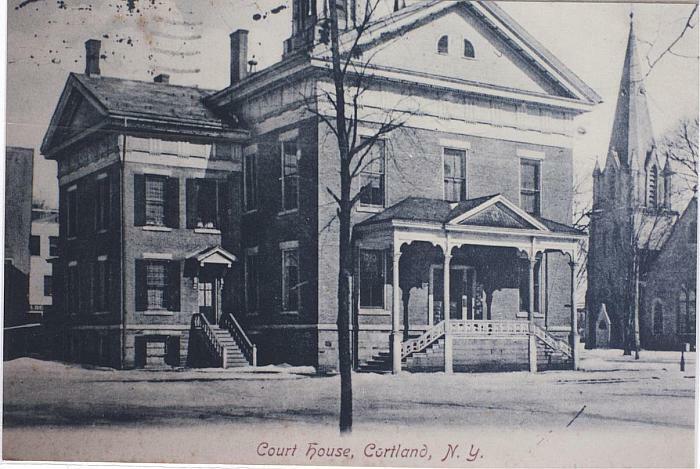 This courthouse, built in 1836 Cortland County, was familiar to four generations of Maybury families. Frank Irving Maybury was born in 1845 Solon Township to Josiah and Dorcas (Blake) Maybury. Coincidently, the courthouse, after serving the county for eighty-eight years, burned in 1924, the same year Frank died seven miles from his boyhood home. But that’s getting ahead of the story. Frank worked at home until age nineteen when he enlisted in the Civil War, in Company F, 185th New York Volunteer Infantry and was discharged in May 1865. Baby girl Birdie was born in this city January 1, 1876. Traveling to Cortland that year for Christmas, the Maybury family no doubt looked forward to happy times but while there, Birdie became sick and her young body could not stave off pneumonia; she died the day after Christmas at Blodgett Mills, five days before her first birthday. A daughter Margaret L, nicknamed Maggie, was born here in 1878, but there was need for a coffin again in 1879 when seven-year-old De Forest died from scarlet fever. Later, Frank and Maria were expecting another child, but the mother lost her life, as did the child, perhaps a son, on February 9, 1884. Though no death record for Maria exists, she is enumerated in the 1884 Grand Rapids directory death list. Oak Hill Cemetery records confirm that Maria’s death was related to childbirth. 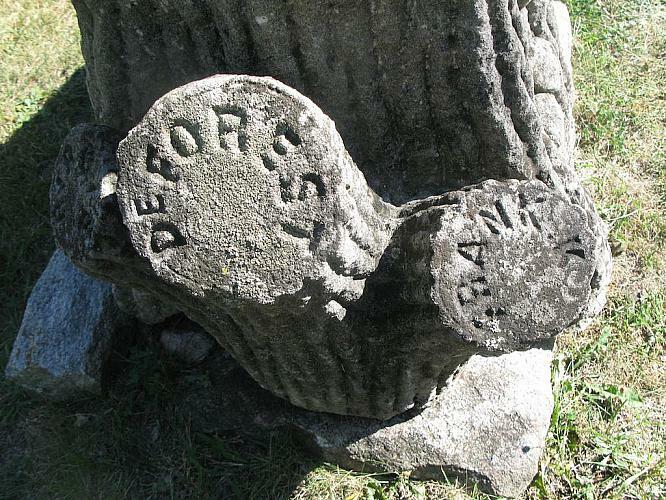 The lives of the three known little ones, Frank, Birdie and DeForest are represented by the three short stumps at the bottom of the monument. 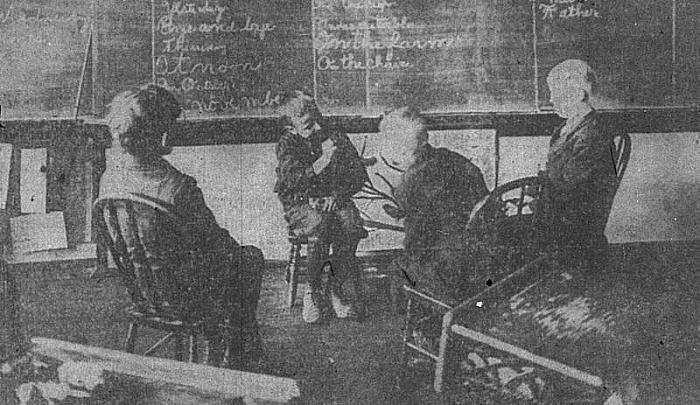 In September 1899, the oral method of instructing the deaf was established in Grand Rapids and Maggie taught there from that time until her marriage. [See related article] Simultaneously she also graduated from the Milwaukee School for the Deaf and instructed in Traverse City. History has forgotten Maggie but at the time, her tenure and salary were higher than others. Frank’s second wife Anna, Maggie’s mother for twenty-three years, died six weeks prior to Maggie’s wedding but as planned in June 1908, Frank and Maria’s daughter Margaret married, in Grand Rapids, Bert [Albert] H. Everhart son of Frank and Nellie (Phelps) Everhart. 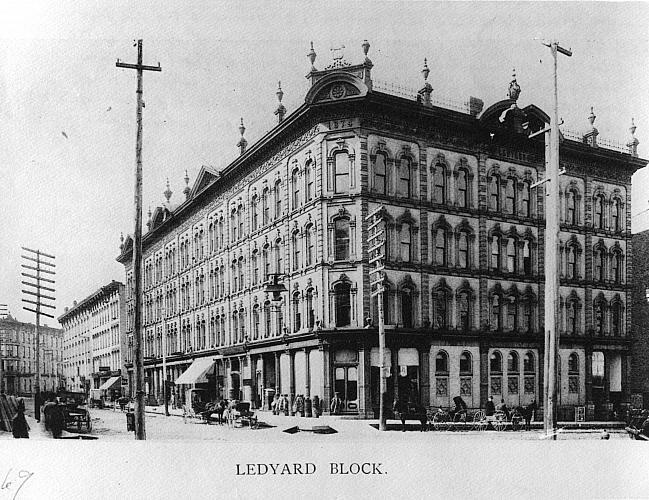 The newlyweds settled in Wayne County, New York. Seventeen months later on 14 November 1909, Maggie died in South Butler, NY from acute Bright’s disease. The following Friday, the Cortland [NY] Standard reported, “Some of our readers will remember Mrs. Everhart as ‘Puss Maybury,’ who when a child on the death of her mother spent several years with her aunt [Clio] Mrs. J. [James] W. Hughes.” Margaret was brought to Oak Hill for burial. 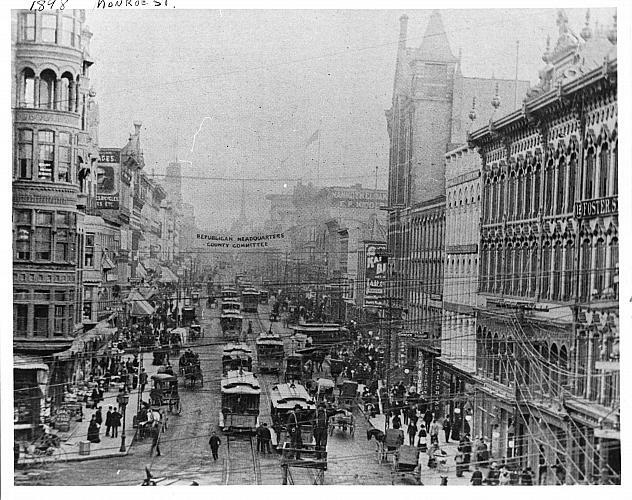 Looking south from lower Monroe Avenue, this interesting photo reveals horse drawn vehicles and electric street cars, both were part of Mabel’s early life. Her probable uncle owned “Edward Gill’s Hacks” at 103 Ottawa when she was young. She viewed transportation changes from horses to automobiles and just short of seeing men land on the moon. After Anna’s death Frank had married Florence (Aldrich) Summerlin, lived in California and finally settled in Homer, Cortland County, New York where he died in 1924. Mabel traveled to New York, arranged his funeral and returned home with his body for burial; Frank’s third wife returned to Indiana. Mabel never married. She resided here alone for fifty years though on holidays she was invited to the home of Gill relatives. She worked as a clerk, bookkeeper, stenographer and sales lady and considered herself an artist. A member of Fountain Street Baptist Church, she later found interest in Christian Science. She died in 1961 having reached age 91 and was interred with her family. The love of Frank’s life and his child were gone, and though he cherished his two daughters, there would not be a son with whom to play and invest himself as a father, no future grandsons to carry the Maybury name, and no males to add to military lineage. 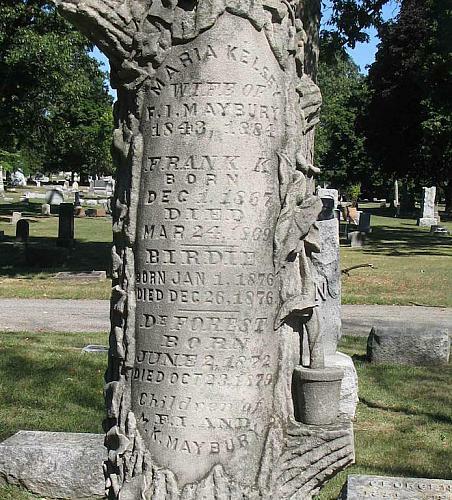 In the weeks or perhaps months that followed, Frank may have ordered the Treestone memorial from any one of the numerous small mills operating in the 1880’s in the Indiana Limestone Belt (roughly 20 miles long and 6 miles wide) from Stinesville to Bedford, Indiana. The piece was probably fabricated and carved by one of the many immigrant artisans that were brought in from Italy and other European countries to man the area mills. Frank found the faith and fortitude to marry again and Mabel, a true Grand Rapids girl, lived here almost a century, but there was not a descendant of Frank and Maria Maybury to tell their story. The imposing symbol stands to remind its viewers of faith, hope and love.